Several file and data storage solutions exist for faculty members and their students. With multiple benefits such as cloud hosting for file sharing and collaboration or access to central file servers for back-ups and repository, to internal hosting for safe and secure long-term storage of large data sets, we offer various options you can consider. This cloud-based solution using Google Drive File Stream, lets researchers and their students store and access large volumes of files anytime, anywhere, on mobile or desktop devices. Files are often too large to send over email with colleagues on and off-campus. This solution allows teams to work from a shared storage location, across multiple devices without requiring VPN connectivity. Note: Only faculty researchers who are APUO members may request the creation of an account. The researcher, as the account owner, can then create a Team Drive and grant access to team members such as students or other collaborators. Students already have access to Team Drive. Save your files to your personal folder (H:/drive) or take advantage of a departmental folder (P:/drive) to share files or collaborate on documents. Storage on the University’s central file servers is secure, regularly backed-up, and can be accessed off-site. To access shared folders, contact the Service Desk. Because departmental file storage varies by faculty, we recommend discussing file storage with your IT representative or consulting with the Service Desk. Storage capacity is limited and off-campus access requires the VPN and not sharable with students. 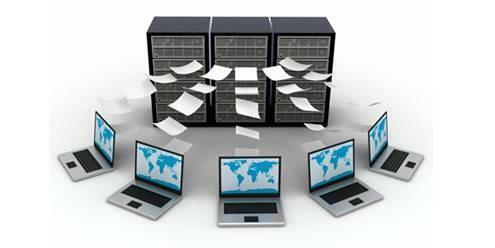 Researchers can host servers in the Colocation Data Centre. This facility is ideal if you require 24-hour access to your servers in a secure, reliable and cost-efficient environment. The facility boasts of a secure, temperature-controlled environment and our power-distribution systems are protected with UPS backup, providing enhanced stability for applications and processes. Information Technology provides consultation services to help design, procure, configure and install a system that best fits your needs.